In order to prepare a will, our office will schedule an initial appointment to take instructions from you before preparing the document for you to review and sign. Our team will even handle registering your will with the BC Vital Statistics Agency. Please review Wills Instruction Checklist for details of what information the notary may require prior to the initial appointment. Having a will gives you control over where your assets will go after you pass away. If you have young children, a will lets you appoint a guardian for them. 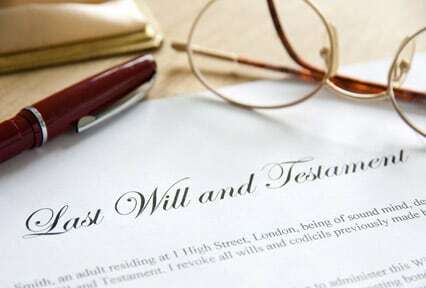 Without a will, the court has authority to appoint a guardian and your assets will be distributed as per the intestate estate provisions according to the law. These conditions may not match your wishes and can elevate the complications and costs of settling your estate. What is an executor and who do I choose? The executor is the person who will handle the distribution of your estate. Upon your death, your estate will be delivered to your named executor to be held in trust. In simple terms, your executor will pay off your debts and deliver what remains to the beneficiaries as named in your will. You should appoint someone whom you trust to capably and responsibly act as your executor. An executor does not have to be your spouse or related individual. If you have young children (under the age of 19), it is extremely important that you appoint a guardian in your will. By doing this, you will be able to appoint a person or persons of your choosing to care for your children in the event that both parents pass away, as opposed to leaving that decision to the court system and the Public Guardian and Trustee. What property passes through a will and what does not? Any assets which you hold in your name and of which you are the beneficial and legal owner will fall under your estate. There are things that do not fall into the estate, such as assets that are held jointly with others— joint bank accounts, real estate property, and vehicles; those assets will pass to the surviving joint owner through what is called “right of survivorship.” Plans which have designated beneficiaries (i.e. RRSP’s, TFSA’s) will pass outside of your estate, unless the estate is the named beneficiary. Terry Sidhu Notarial Services Inc.